The lovely Caribbean island of Tobago is a year-round destination, and as such it has something going on event-wise at any time of year. Festivals add an extra dimension to any holiday and often incorporate a good dose of local music, food and culture, so they are well worth joining in. Like many Caribbean islands, the Tobagans like to party, and never more so than at Carnival. Usually held in late February or early March, six weeks before Easter, the carnivals hit the street with noise and gusto. The parades include decorated floats and costumed processions, steel band music and plenty of side stalls and family fun. When Easter finally arrives, there are religious processions in a far more somber mood than the pre-lent feasting at carnival time. The big days to look out for include Ash Wednesday, Good Friday and Easter Sunday. Light-hearted fun is guaranteed at the 80-year old Easter Goat Race Festival on Buccoo Beach on Easter Monday. There is a reason why horse racing took off and goat racing did not, and you will understand why when you see this hilarious event. These specially trained goats head for the finish line with their “jockeys” behind holding long ropes. The wacky races even include crab racing — another uncertain race to lose money on! Tobago hosts the TTGFA International Game Fishing Tournament each March in Charlotteville. Past catches have included record-breaking marlin and yellow-fin tuna among other sport fish. The last week in April sees a change of pace with the Tobago Jazz Festival Experience. Many leading jazz musicians and blues players visit the island and contribute to some excellent concerts (some free), in various venues in Scarborough and at Pigeon Point Heritage Park. Previous events have attracted Diana Ross, Elton John, Stevie Wonder and George Benson. Mid-May is the unmissable Tobago Sail Week when a colourful regatta competes in the surrounding waters off Crown Point. Triathletes may be interested in spectating or participating in the Rainbow Cup Triathlon on Grafton Beach. Another fishing event, this time the Charlotteville Fisherman’s Fete takes place on Man O’War Beach on St Peter’s Day, 29th June. This is a chance for the local fishermen to let their hair down with parties, games and sports. 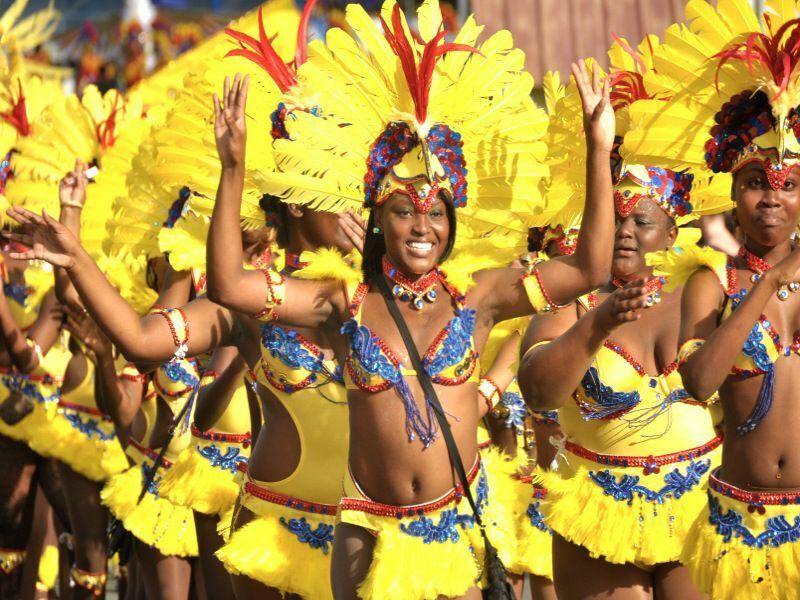 The Tobago Heritage Festival is of particular interest to visitors and takes place from mid-Jul to early August. It celebrates the heritage of enslaved Africans brought to Tobago to work the sugar plantations. Folklore, superstitions, art, music and traditional dance reflect Tobago’s African roots. This is followed by the Great Fete Weekend at Crown Point, a fun six-day beach party and the Tobago Muhtadi International Drumming Festival with workshops and performances drawing drummers from all over the world. For Tobago nationals, Independence Day is a historic event celebrating the country’s independence from Britain on 31st August 1962. This is a national holiday, along with Republic Day, which is on 24th September. Article written by Gillian Birch.